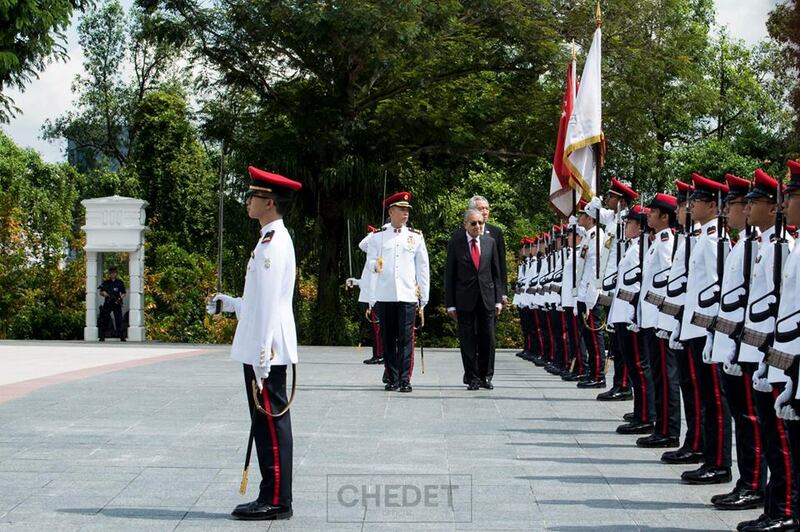 Tun Dr Mahathir receives a warm welcome in Singapore by his counterpart Prime Minister Lee Hsien Loong, yesterday. Singapore: Malaysia Prime Minister Dr. Mahathir spent his evening last night having high tea with Malaysian Diaspora in Singapore and discussing the importance of acquiring knowledge and working with other people and nations regardless race, religion and color. “In order to become a good businessman it is good to work with other people first and learn about the intricacies of doing business,” he said. He also reiterated that Malaysia being “a business-friendly country” welcomes and attracts foreign direct investments. He also urged the Malaysian diaspora to return home to contribute to their own nation building. Tun Dr Mahathir has received a warm welcome in Singapore by his counterpart Prime Minister Lee Hsien Loong at the Istana yesterday and latter had a bilateral meeting with him at the West Drawing Room.